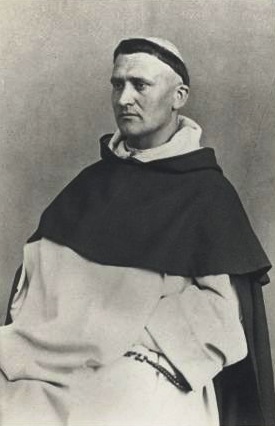 Ten months before his death on March 10, 1869, Father Marie Jean-Joseph Lataste, O.P. pronounced a very special vow. His desire was to fulfill a vow to Saint Joseph that he had made earlier, on March 19, 1866, by which he dedicated himself to work for the insertion of the name of Saint Joseph in the Canon of the Mass, and for the approbation by the Church of a proper Mass in honour of Saint Joseph, if his project for the foundation of the Dominican Sisters of Bethany were brought to fruition within two years. Given the emergence of the new community of Bethany, Father Lataste was obliged to pay his debt to Saint Joseph: he made the offering of his life to obtain that Saint Joseph be declared patron of the universal Church, and that the name of Saint Joseph be inserted in the Canon of the Mass, on the condition that Saint Joseph take charge of his work for rehabilitated women, and supply for the want of human support. On May 10, 1868, Father Lataste entrusted to Father Jandel, O.P. a letter for Pope Pius IX requesting the above-mentioned honours for Saint Joseph. Father Lataste said nothing about the content of his missive to the Pope; it remained secret until Father Jandel revealed what happened when the Pope opened the letter. The intention for which Father Lataste offered his life was fulfilled by a motu proprio of Blessed John XXIII that became effective on December 8, 1962. Father Lataste was beatified on June 3, 2012 at Besançon. Thanks for this post, wonderful to learn of this holy man! I join you in praying to St Joseph…. God bless you! Are there any writings from Blessed M-Jean Joseph Lataste? There are indeed. See this page: < http://dominicainesdebethanie.org/spip.php?rubrique45>.